Brett Halliday was the quintessential hardboiled hero: witty, tough, and wore an eye patch because he lost a fight to some unruly barbed wire. That’s one hell of a character, right? Halliday wasn’t fiction; he was a writer! He was born Davis Dresser (I know, not nearly as tough) in 1904 in Chicago, but grew up mostly in Texas. As a boy he lost his eye after running into some barbed wire. We can only assume that the eye patch Halliday wore for the remainder of his life is what caused him to become such a badass. He already had the look so why not the lifestyle. Halliday dropped out of high school, lied about his age, joined the U.S. Cavalry, and then, just for some more kicks, joined the Border Patrol. Although he began writing late in life, he quickly made up for lost time. 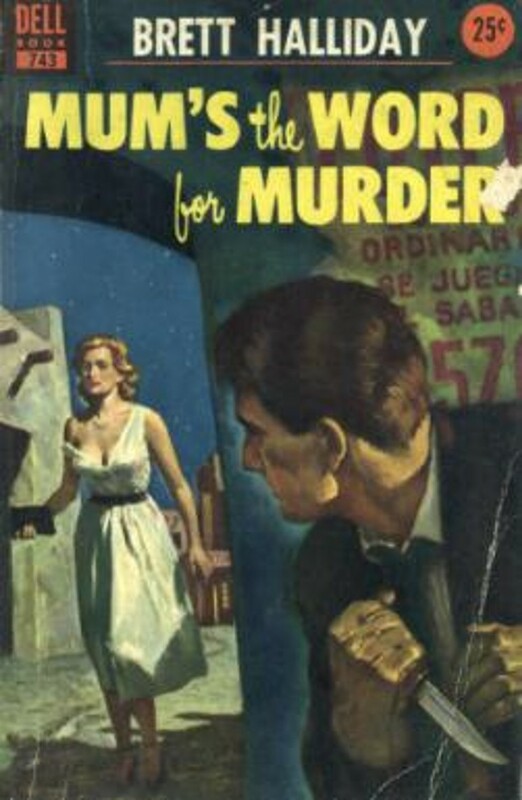 He published dozens of short stories in pulp fiction magazines before trying to sell his first novel in 1939. It was rejected 21 times before being accepted. Introduced Divided on Death, Halliday’s main character Michael Shayne was a tough, crime-solving private investigator. Unlike the standard PI novels at the time, Halliday’s books mixed black humor, sharp characters, and, best of all, an extremely well thought out plot. 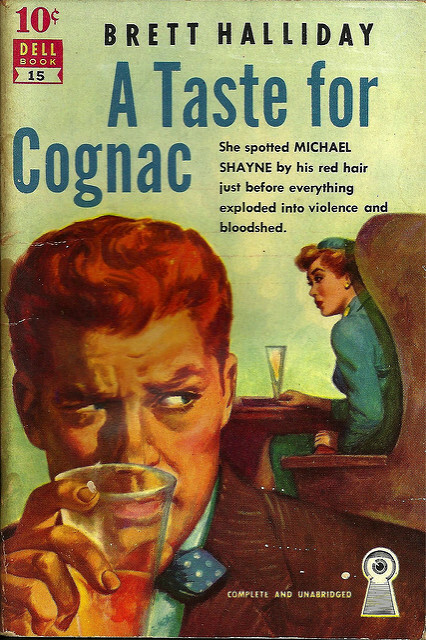 Michael Shayne ended up being a major star, and Halliday would eventually publish a total of 77 novels, 300 short stories, a few films, and a comic book. 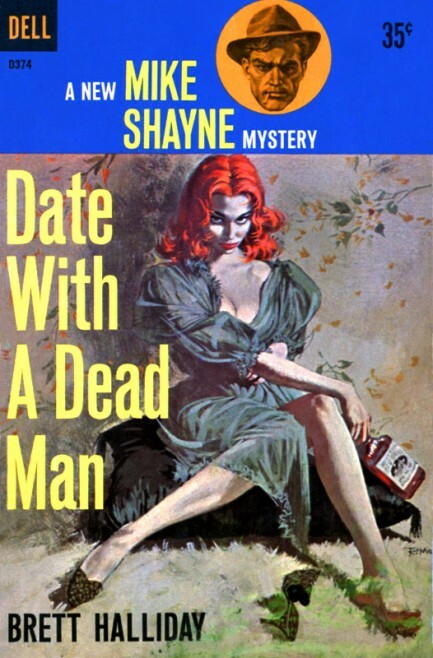 The author loaned out his name to ghostwriters who took over the series in its later years. Halliday died in 1972, but we assume he’s taking revenge on the barbed wire that maimed him as a child Bryan Mills-style. 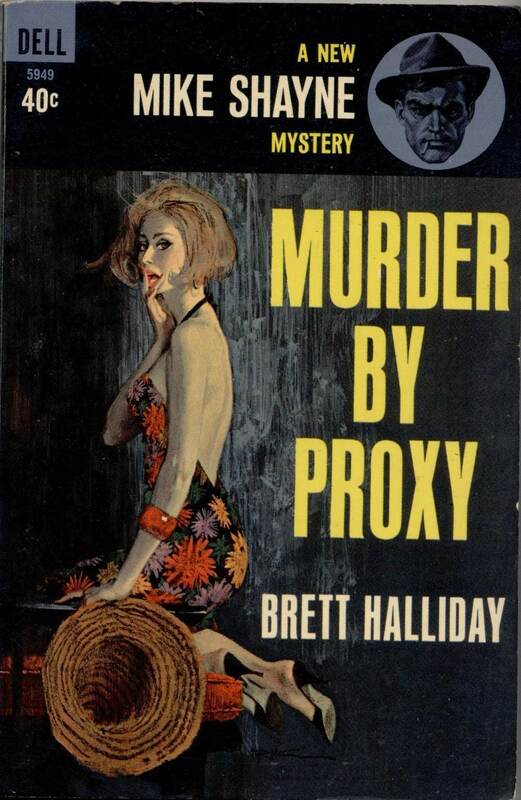 Enjoy some of our favorite Brett Halliday covers!